In February, we continued our lull of only going to ABA three times a week, so we didn’t get in quite as much reading/listening as other months. Plus, I had a mom fail and forgot to keep track of what we read and listened to as we finished them, so I *think* these are all the books we read and heard in February. 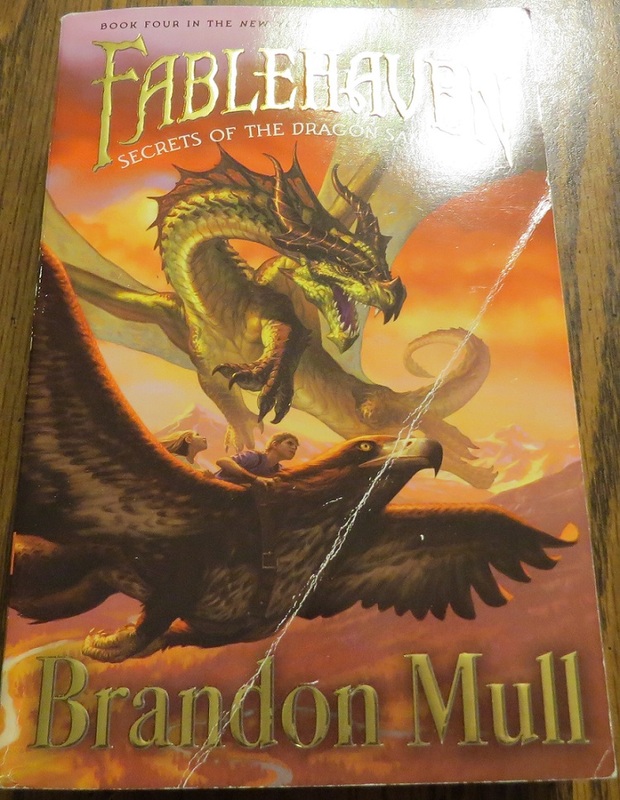 Book 4 of 5 in the series, Fablehaven: Secrets of the Dragon Sanctuary finds Kendra killed! But never fear, she’s actually alive and well, even though her parents think she’s dead. In this book, Kendra and family and friends face dragons and a battle like they’ve never fought before. This book wasn’t one of my favorites in the series. It seemed too long and to drag on. Still, probably this summer we’ll read the last book in the series to just wrap it all up. Hands down, this is the best audio story we listened to this month. Seriously, I got completely pulled into this one and even cried at some parts. It was that good! 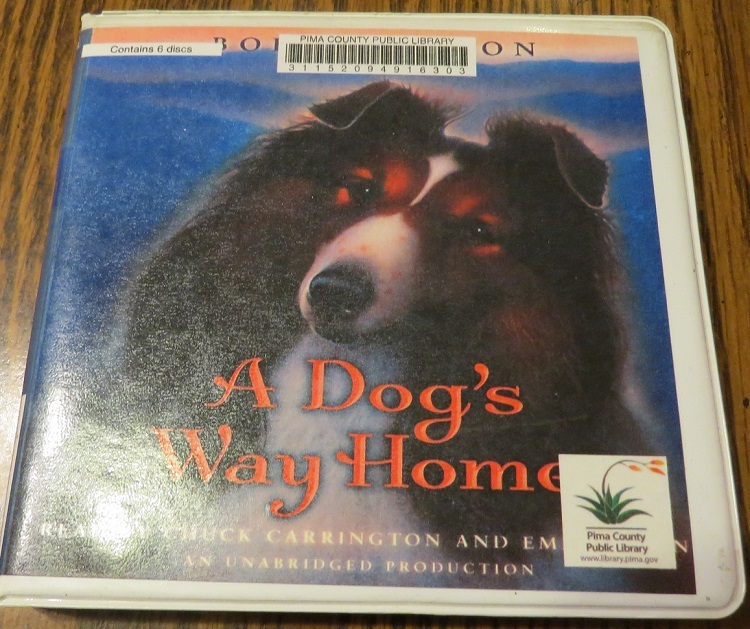 In A Dog’s Way Home, Abby is deeply attached to her Shetland sheepdog, Tam, and he to her. However, when Abby and her mother are in a car accident with Tam riding in the back of their truck, life changes for all. Abby and her mother recover from their injuries, and Tam wanders, injured and alone, looking for Abby. He can’t find her, and even though she searches for him when she gets out of the hospital, she can’t find him either. Tam begins a long, hard journey to get back to the girl he loves. This audio is 7 hours long. 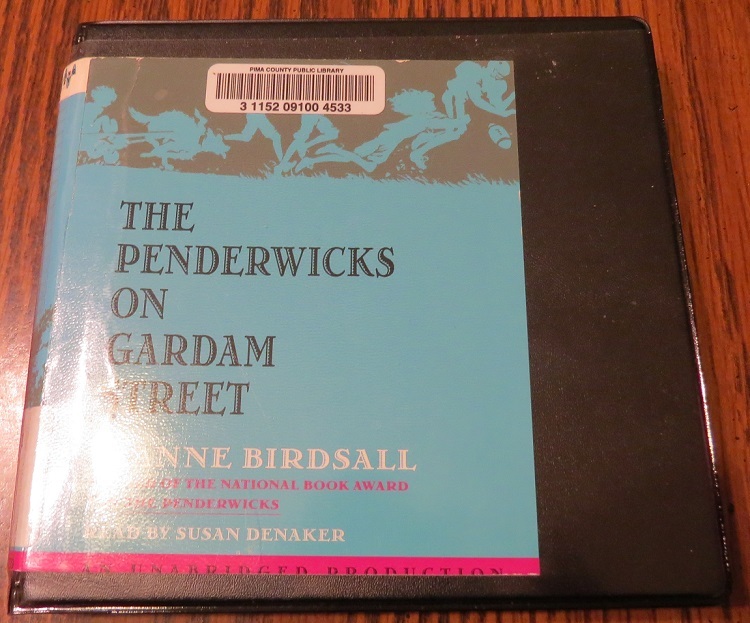 We listened to the first book in this series last month, so we tried The Penderwicks on Gardam Street this month, and it didn’t disappoint. The late Mrs. Penderwick, before she passed away, had written her husband a letter encouraging him to date. She gave this letter to her sister with instruction to give to her husband if he hadn’t started dating a few years after she passed. Mr. Penderwick is not happy to start dating, and his daughters aren’t happy about the prospect, either, until they realize he has already found the perfect woman. In Freaky Friday, Anabel Andrews covets her mother’s “easy” life until one day she finds herself in her mother’s body, living as her for a day. It’s not nearly as easy as she thought, and Anabel wants nothing more than to return to her old life. This was a fun story to listen to. This audio was approximately 3.5 hours long.